Contestants may enter online giveaways and other contests by following instructions provided with each individual contest as advertised on social media or this website. Prizes awarded will be as defined in each individual contest. 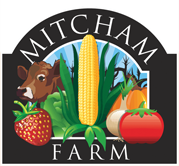 Prizes must be redeemed by winner picking up prizes at Mitcham Farm during regular operating hours. ELIGIBILITY: Contests are open to residents of the United States who are at least 18 years of age. 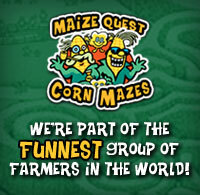 Employees of the Mitcham Farm ("Sponsor") are not eligible to enter or win. Void where prohibited by law. Contest is subject to all applicable federal, state and local laws. This Contest is in no way sponsored, endorsed or administered by, or associated with, Facebook, Twitter, Instagram, or any other third party. SUBMISSION REQUIREMENTS: When contests involve the posting or sharing of photos, Entrant must own all rights to the Submission and have the right to grant Sponsor the use of the Submission including the permission of the parent or legal guardian of any child(ren) depicted in the Submission. The Submission must be suitable for a family audience and contain only content that, in the sole and unfettered discretion of Sponsor, is suitable for a general audience. WINNER NOTIFICATION: Sponsor's decisions are final and binding on all matters relating to this Contest. Winners will be announced on the Mitcham Farm Facebook Page. Winners are responsible for the redemption of prizes, which must be picked up at Mitcham Farm during regular operating hours. Noncompliance with these Official Rules by the entrant will result in disqualification and, at Sponsor's sole discretion, prize may be awarded to an alternate. If the potential winner is at least 18 but still considered a minor in his/her jurisdiction of residence, prize may be awarded in the name of his/her parent or legal guardian who will be responsible for fulfilling all requirements imposed on winner set forth herein. PRIZE: Prizes awarded will be as defined in each individual contest. Approximate retail value varies. PRIZE CONDITIONS: Prizes are subject to certain terms and conditions specified by Sponsor. No substitutions, cash redemptions or transfers are permitted. Prizes are awarded "as is" with no warranty or guarantee, either express or implied by Sponsor. Winners may not substitute, assign or transfer prize or redeem prize for cash, but Sponsor reserves the right, at its sole discretion, to substitute the prizes (or portions thereof) with one of comparable or greater value. Winners are responsible for all applicable federal, state and local taxes and all other costs associated with prize acceptance and use not specified herein as being provided. to the use of entrant's name, voice, performance, Submission, and/or likeness (when applicable) for programming, advertising, publicity and promotional purposes in any and all media, now and in the future, worldwide and on the Internet, and in perpetuity by Sponsor and its designees, without compensation (unless prohibited by law) or additional consents from entrant or any third party and without prior notice, approval or inspection, and to execute specific consent to such use. ARBITRATION: Except where prohibited by law, as a condition of participating in this Contest, entrant agrees that 1) any and all disputes and causes of action arising out of or connected with this Contest, or any prize awarded, shall be resolved individually, without resort to any form of class action, and exclusively by final and binding arbitration under the rules of the American Arbitration Association and held at the AAA regional office nearest the entrant; 2) the Federal Arbitration Act shall govern the interpretation, enforcement and all proceedings at such arbitration; and 3) judgment upon such arbitration award may be entered in any court having jurisdiction. Under no circumstances will entrant be permitted to obtain awards for, and entrant hereby waives all rights to claim, punitive, incidental or consequential damages, or any other damages, including attorneys' fees, other than entrant's actual out-of-pocket expenses (i.e., costs associated with participating in this Contest), and entrant further waives all rights to have damages multiplied or increased. CHOICE OF LAW: All issues and questions concerning the construction, validity, interpretation and enforceability of these Official Rules, or the rights and obligations of entrant and Sponsor in connection with the Contest, shall be governed by, and construed in accordance with, the substantive laws of the State of Georgia, USA.